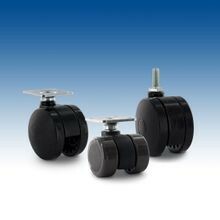 Outwater’s metal ball casters are manufactured from diecast zinc which offers quality finishes and is a cost-effective alternative to other materials. 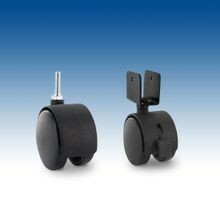 These casters will not catch on clothing or fabric hanging from mobile displays or garment racks. 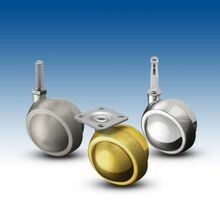 Outwater’s ball caster wheels are available in a variety of different finishes such as Brite Brass, Satin Chrome and Windsor Antique finishes. Outwater Industries stocks all products in both our New Jersey and Arizona facilities which helps us to expedite shipping and lower delivery costs for all customers. 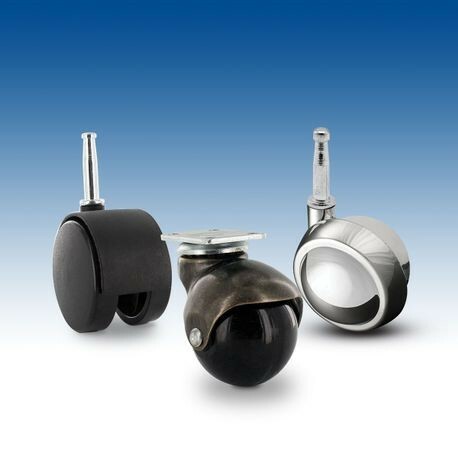 Our heavy duty metal ball casters are stocked with a range of top fixings including Gripneck Stems, Square Top Plates and Threaded Stems. We offer a brake option for our metal casters for furniture on a per request basis and if you can’t find the perfect caster to meet your needs, contact our friendly sales department for other caster options. Outwater offers this expansive collection of traditional and stylish casters for all our customers. If you cannot find the caster that meets your needs, please contact our friendly sales department for information on other caster options. The hooded twin wheel casters are available to all of Outwater’s customers, and if you cannot find the caster that fits your needs, please contact our friendly sales department to learn about other caster options. 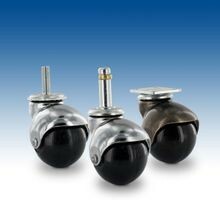 Outwater offers this expansive collection of traditional and stylish furniture casters for all our customers. If you cannot find the caster that meets your needs, please contact our friendly sales department for information on other caster options. Outwater offers this expansive collection of traditional and stylish chair casters for all our customers and many of them are stocked with a brake option if needed. If you cannot find the caster that meets your needs, please contact our friendly sales department for information on other caster options.